The CLE-150 Motorized Constant Speed/Load stand eliminates speed and load variable which occur when using a durometer by hand. The built in motor allows the durometer to move downwards at a constant speed. Select speeds from 0.1~19.9 mm/sec in .1 mm increments. 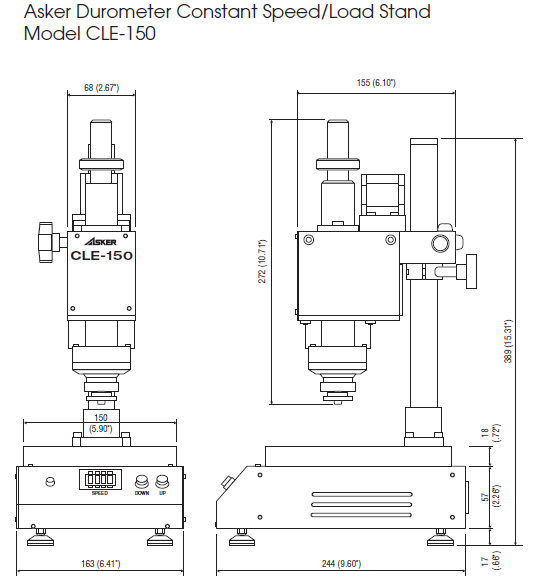 CLE-150 Constant Load Stand with Flexible coupling eliminates different speed and load variables which occur when testing samples with a hand-held durometer. The test speed and load the durometer applies to rubber and plastic samples are kept constant with a pneumatic damper and a standard weight. 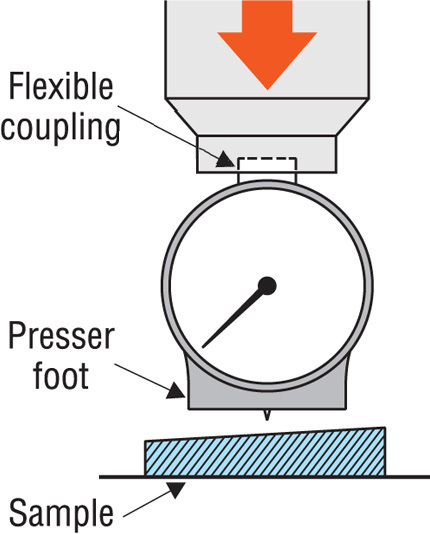 Flexible coupling - In addition, the unique flexible coupling on the CL-150 enables the presser foot of the durometer to make perfect contact even on samples with inclined surfaces. Conventional fixed joint testers incompletely contact inclined test samples, resulting in uneven pressure being applied by the durometer. 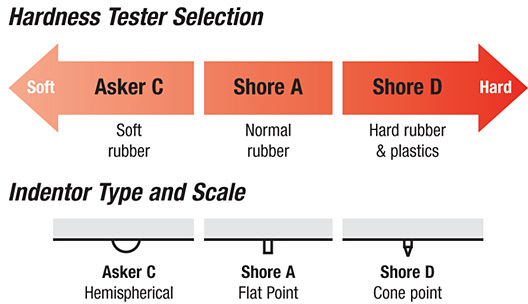 Choose a model with the appropriate hardness scale for the material you are testing. 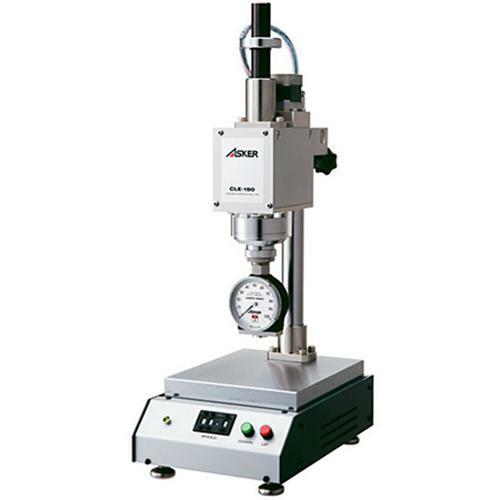 Mount a model EX or X durometer to the constant load stand for a full hardness testing system.